Only 2 owners on the awesome little German sports car. She comes loaded with traction control, paddle shifters, CD player, M-Sport seats wrapped in leather, lumbar support, sunroof, and Z rated Michelin tires. The E46 M3, first introduced in October 2000, appeared worldwide with the new 3.2 L S54 M-tuned engine. It was only available in coupe and convertible bodies as the saloon version had been dropped. The E46 M3 was offered with a standard 6-speed Getrag transmission, but optionally came with a SMG drivelogic transmission. This is the standard 6-speed Getrag transmission with an electrohydraulic actuated clutch (no clutch pedal). Shifts are made via the SMG gear knob or the steering wheel mounted paddle shifters. The engine had a redline of 8,000 rpm. As with most M engines, the S54 again had 6 independent throttle bodies and this time electronically operated throttles. In the U.S., the E46 M3 came with similar engine output as the European version, unlike in the E36, whose engine was derived from the M50/52 series engine. Power was now at 333 HP due to close-coupled catalytic converters closer to the engine exhaust ports. In 2009, Road and Track magazine announced the 2006 M3 with the SMG transmission as its favorite sports car of all time. To view the car in greater detail, including an HD video and 100+ HD pictures please visit www.gatewayclassiccars.com or our Denver showroom. Call 303-872-4722 for more information. Gateway Classic Cars is excited to present this jet black 1998 Pontiac Trans Am WS6 for sale in our Milwaukee Showroom. Aside from its glossy black paint job that covers its aggressive body lines that seems to make the car look like itâ€™s going fast, this car packs a lot of power under the hood that cannot be described in just one sentence or phrase. The power plant consists of an aluminum block LS1 that features all forged rotating assembly among a 4â€ stroke crankshaft that bumps the moving volume of the engine up to a hefty 383 cubic inches. Up top in the screaming V8 is a Brian Tooley turbo grind camshaft purposed with opening the valves more efficiently in conjunction with the Garrett 76mm turbo. The turbo itself is optimized by use of a Turbosmart Race-Port 45 wastegate and 50mm blowoff valve. The turbine compresses air through 4â€ piping that flows through a 4â€ thick intercooler ensuring that the intake manifold temperature stays at optimal tuned temperature in order to obtain efficient combustion. This beastly motor setup produces a peak of 856 horsepower at the wheels. The engine is attached to a T56 6 speed manual transmission linked by a McLeod RXT Street Heavy Duty Twin Clutch. All this power is transferred back to a Strange Engineering S60 rear axle to make sure the power reaches the ground without breaking something. As well as having so much power under the hood, this car also features an aftermarket Sony radio with CD and Bluetooth, power windows, cruise control, power steering, and T-Tops for when weather permits and you need the wind in your hair! This 1998 Pontiac Trans Am WS6 is available at our Milwaukee Showroom at Gateway Classic Cars and can be seen at www.GatewayClassicCars.com which includes 100+ HD photos and HD video. To see the car in person, it can be seen at our Milwaukee Showroom located at 9949 58th Place Suite 400, Kenosha WI 53144. Any and all questions can be answered by our knowledgeable staff by calling (262) 891-4253 or email us at Milwaukee@GatewayClassicCars.com. Now for sale in Gateway Classic Cars of Houston showroom is this 1992 Chevy K1500 Blazer. The Blazer was first introduced in 1969 & for years, Chevys full-size Blazer sport-utility vehicle has been one of the best mudslingers in the business. This one is in excellent condition and shows very well. This one is in its original color paint job that looks to be redone at some time recently & it looks as good as it did in 1992 or better. 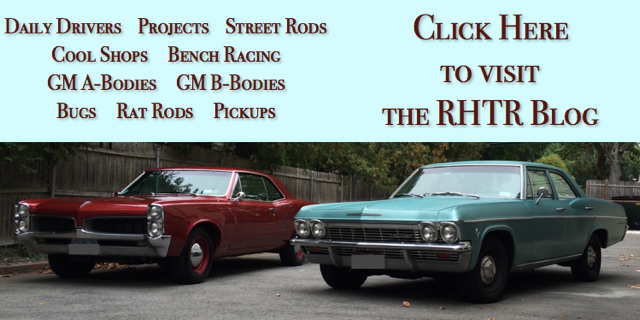 The exterior trim, grills, light lenses, & bumpers are all in terrific condition. The truck sits on 15-inch steel wheels that are wrapped in General Grabber off-road tires that have plenty of life left on them. Looking at the undercarriage you will the front end has a BDS reinforced subframe that gives the truck that added structural rigidity. The suspension has also been upgraded with new struts and associated parts. Powering this truck down the road is its original 5.7L 350 CID V8 that is paired to the stock 4-speed automatic transmission. The engine was rebuilt 11K miles ago, while the transmission was rebuilt about 300 miles ago. The transmission is currently still under warranty until January 2019. Looking at the driver’s seat you will the gray cloth interior that is in great condition. The dash, headliner, door panels, & carpet are all in such good condition, it doesn’t even look like this truck has crossed a quarter million miles. 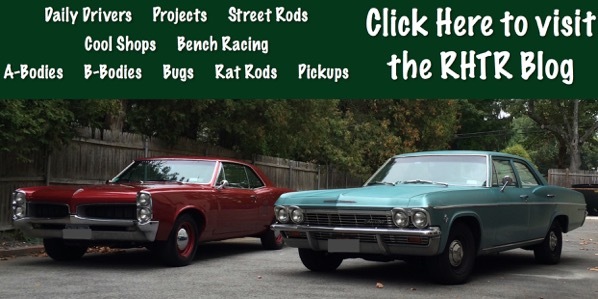 The owner has replaced some parts recently such as the front wheel bearings, new CV joints, new axel shafts, all new brake rotors/pads, & more. This truck is in excellent condtion for a 92, it runs & drives very well. The lift on the truck has not compromised the geometry of the suspension. It has very minimal body roll during turns and it really hugs the road. These are going to go up in value so get a chance to own one today! Features on this truck include; CD player, custom wheels & tires, AC (not blowing cold), power brakes, cruise control, power steering, ABS brakes, power locks, driver & passenger side air bags, power windows, tilt steering wheel, & more. For more information on this 1992 Chevrolet K1500 Blazer, including extra photos and videos of it, click this direct link: http://www.gatewayclassiccars.com/HOU/920/1992-Chevrolet-Blazer-K1500-4x4. You can also come see it at 1910 Cypress Station Dr., Bldg 200, Houston, TX 77090; or call the Houston Showroom at 832-243-6220 or email us at houston@gatewayclassiccars.com. Gateway Classic Cars is proud to present this 1973 Holden Kingswood UTE is for sale in our Las Vegas Showroom. Gateway Classic Cars brings the outback to the West with this rarely seen Holden Kingswood UTE. Holden, an Australian division of General Motors has dominated the Australian automotive market for decades. Several configurations were available from the factory in 1973 and this offering is the utility version. Fitted with the optional 308 cubic inch V8 and the 3 speed automatic transmission this Holden UTE has plenty of power. This Holden is a quick and compact package making it great for hauling or towing. With original factory right-hand drive this is one unique vehicle. Options on this Holden UTE include AM/FM radio, power steering, power brakes, Rally wheels, and Radial Tires. 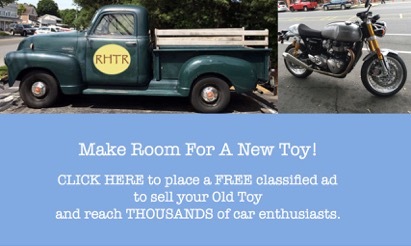 This is an opportunity to own one of the very few Holdens that have made their way through customs and into the U.S.A. This 1973 Holden Kingswood UTE is fully registered and titled in the United States. This 1973 Holden Kingswood UTE is for sale in our Las Vegas Showroom and can be seen great detail including 100+ HD pictures and an HD video at www.GatewayClassicCars.com. For additional information please call our knowledgeable staff at (702) 830-9215 or email us at LasVegas@GatewayClassicCars.com. If you would like to see it in person, come to our Las Vegas Showroom, located at 6580 S Lindell Road Suite 300, Las Vegas, NV 89118. Gateway Classic Cars of Las Vegas is proud to present this stunning 1986 Spartan II for sale in our showroom . This car has been called the ultimate in a luxury/sports car! The Spartan comes from the fertile mind of Ron Sparks who had been working for companies that hand-built cars in southern California for years. Mr. Sparks became unhappy with the quality of construction of these cars and knowing he could make a better car, struck out on his own and opened Spartan Motorcars in San Marcos, CA. Approximately 350 Spartan and Spartan II were made over the years and many of the Hollywood elite and professional athletes have owned one. Mr. Sparks started this build with quality as a base by using a 1986 Nissan 300ZX frame, interior and drive train. Under the hood is the same 3 Liter V6 that powered the 300ZX. Backing this smooth power plant is a four speed automatic transmission that multiplies the revolutions. This impressive Spartan for sale is a whopping 204 inches long thatâ€™s 17 feet! But thanks to the fiberglass body it weighs in at only 3675 pounds. This long, lean Spartan slides down the road with ease, smoothing out all the bumps. The quiet cabin has the 2+2 option so there is room for four to enjoy all the leather and burl wood. This has also been equipped with the optional T-top for extra sportiness and good looks. You will not go unnoticed no matter where you drive this beauty; it is at home in Hollywood or your local car show. Options for this 1986 Spartan II include: Power windows, power leather seats, power locks, power mirrors, power steering and power brakes. Cruise control, AM/FM stereo with cassette player. Air conditioning, leather interior with burl wood accents. T- tops, wire wheel hub caps and white wall radial tires to name a few. This 1986 Spartan II is for sale in our Las Vegas Showroom and can be seen great detail including 100+ HD pictures and an HD video at www.GatewayClassicCars.com. For additional information please call our knowledgeable staff at (702) 830-9215 or email us at LasVegas@GatewayClassicCars.com. If you would like to see it in person, come to our Las Vegas Showroom, located at 6580 S Lindell Road Suite 300, Las Vegas, NV 89118. For sale in our Detroit showroom is a 1987 Pontiac Formula! This hot-bird has a 5.7 liter V8 with just 2,500 miles on the rebuild. Under the hood is the 5.7L fuel injected V8 engine looks as good as new and backed by the 4-speed automatic transmission is a real blast to drive. This particular Formula has the WS6 package that included upgraded wheels/tires, suspension and RamAir induction. The exterior of this car is painted in a factory glossy black and the interior has black cloth bucket seats. This generation of Firebird is known as the one that began utilizing more aerodynamic body designs resulting in a lower coefficient of drag which also gave these vehicles that post-modernistic look that we all love about the 1980s! This second owned Formula was treated to a custom CD-player and sound system that is enclosed and finished in the trunk so when youre not enjoying the sounds of the custom exhaust, you can cruise to all your favorite music! Options on this legendary Pontiac include: AM/FM radio, CD, cruise control, power brakes, power steering, power locks, power windows, tilt wheel, seat belts, and custom alloy wheels. To view this 1987 Pontiac Firebird Formula in greater detail with high resolution photos and in-depth HD video visit us at www.GatewayClassicCars.com. For more information call us at 1-313-982-3100 and talk directly to one of our friendly showroom staff today before its too late! Attention Pontiac Fans! Gateway Classic Cars of St. Louis is proud to offer a 2009 Pontiac G8 GT. This rare model was a real sweetie offer by GM for only 2 years in the US. Built by Holden in Australia, the G8 was the same as a Holden Commodore rebadged for the US. This four door sport sedan could be had in several trim levels with a variety of engines. This one is the G8 GT which comes with the 6.0 Liter L76 V8. This impressive lump churns out 361 horsepower which is delivered to the rear wheels. In this example, the GT sports a 6 speed automatic transmission which will get the car to 60 MPH in 5.3 seconds. With performance like that, this is a competitor to cars like the Mercedes-Benz E-Class, or the BMW 5 series. This particular example is finished in bright red on the exterior and sits on a sharp set of 5 spoke alloy wheels. The interior features black leather upholstery with plenty of options. This is a comfortable full sized sedan that can be driven daily, but enjoyed as a drivers car when you feel like leaning on your right foot. With only 62,075 miles on the odometer, this baby has plenty of life left. You can see this very sharp 2009 Pontiac G8 GT in greater detail in our St. Louis showroom or at www.GatewayClassicCars.com. Please contact 618-271-3000 or stl@gatewayclassiccars.com with any questions. For sale at Gateway Classic Cars in our St. Louis showroom is a wild 1931 Ford Model A hot rod! This mean green machine started life out as a 1931 Ford Model A. Then one thing led to another and it now has a tailgate from an old Willys Overland. No fiberglass here, all steel. Power comes from a torquey 400 small block Chevy and is sent through a Turbo 350 automatic transmission. More than enough power for this little guy. The suspension is comprised of coil springs and a triangulated four bar for the rear and up front is a dropped straight axle with disc brakes. Paint is very eye catching and fits this build perfectly. The green paint shines well and is complimented by some serious artsy gold designs and patterns throughout. Inside is pretty bare but what were you expecting? You have two pedals, 2 seats, a shifter, a steering wheel, some gauges and buttons. Thats all you need with this wild child. Even though this is a 1931 Ford Model A, it is titled as a 2014 Special Construction. For more information on this wild child of a Ford Model A, call our St. Louis showroom at 618-271-3000. To view 100+ High Definition photos and video of it running and driving, visit www.GatewayClassicCars.com. For sale at Gateway Classic Cars in our St. Louis showroom is a near new, one owner 2002 Ford Thunderbird convertible! This one owner T-Bird has only 22,984 actual miles. These cars have a 3.9 L V8 that have an unsuspecting amount of get up and go! The 3.9L V8 produces 252 HP and 267 ft/lbs of torque. This means all you have to do is put the top down with the push of a button and youre off! The exterior is painted Fords Evening Black which pairs nicely to the black leather interior. This is a triple black car, meaning the top, interior and exterior are all black in color. Options include: Air Conditioning, AM/FM radio, 6 disc in dash CD Player, Power Top along with the Factory Hardtop, Cruise Control, Power Windows, Power Brakes, Power Steering, Power Locks, Power Seats, Seat Belts, Anti-Lock Brakes, Telescopic/Tilt Wheel, Driver/Passenger Airbag, Leather Interior, Aluminum/Alloy Wheels, Radial Tires, and Traction Control. If you are looking for a very nice Thunderbird that is nearly new for its age, look no further. This is a car you must drive to fall in love with. Ford introduced this new Thunderbird for 2002. Returning to the original formula for the Thunderbird, the latest version is back to the convertible layout like the first-generation Thunderbird and retro styling to match. 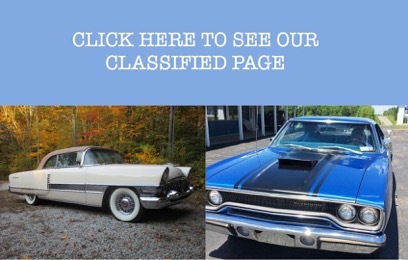 To view this car in greater detail, including an HD video and 100+ HD photos, please visit www.gatewayclassiccars.com or our St. Louis showroom. For more information call 618-271-3000. Gateway Classic Cars is proud to present this 1966 Ford Mustang. This iconic Muscle car is powered by a 289CI engine with a 4 speed manual transmission. This cars paint is in excellent condition, and shines well in the sunlight. The vinyl top on this car is perfect and contrasts the Springtime Yellow paint beautifully! The chrome accents inside sparkle, the carpet and seats in this car are as good as new. This 1966 Mustang has under 8,000 miles since its rebuild. This really is one clean and well driving mustangs, not to mention it sounds great as you cruise down the road. This car tracks down the road as straight as an arrow as it transports you back the 1966. This car is ready to bring home awards for its new owners, it has performed well at shows around the Indianapolis area and will surely do the same for YOU! This mustang would be a great addition to anyones collection. The only question is where will this car go? This 1966 Mustang for sale is located in our Indianapolis Showroom and can be seen in greater detail, including a High Def video at www.GatewayClassicCars.com. 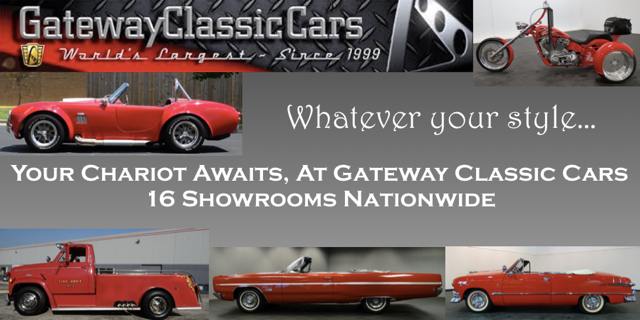 Please call (317)688-1100 or email us at INDY@gatewayclassiccars.com for additional information.